Sanguine is one of those Latin root words that borrows from our old beliefs to create new meaning. The most common meanings these days are to do with having a red complexion, like flushed cheeks or with a “sunny” disposition. The root, of course, comes from blood. Blood was associated with red complexions and a cheerful disposition. 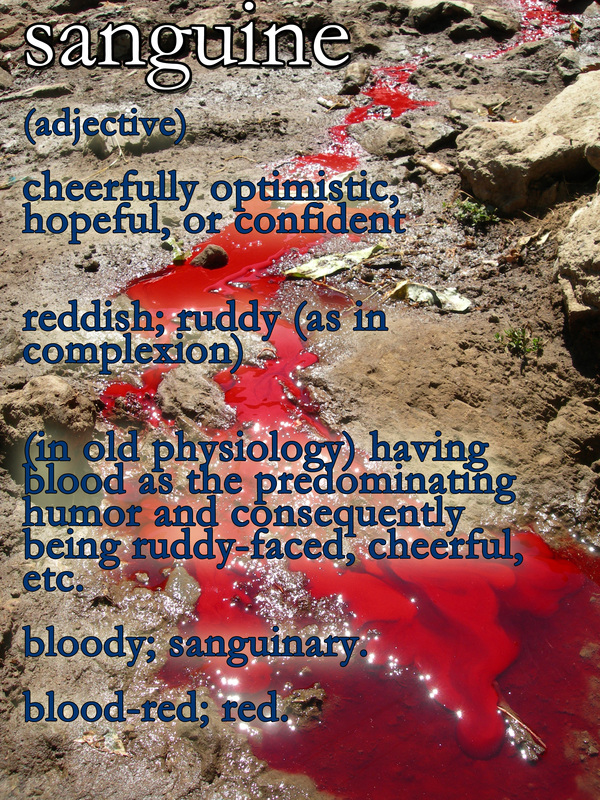 Do you think sanguine sounds like a “cheerful” word? Or do you think its bloody roots are written all over it?